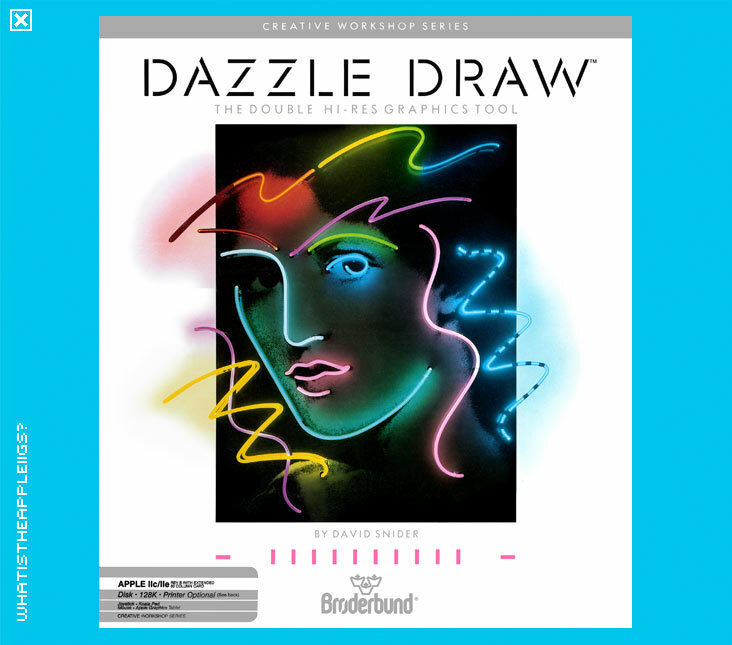 If Dazzle Draw isn't the first paint program for the Apple IIe or IIc that uses the then new double hi-res graphic mode, released in 1984, I'll eat my hat. Luckily I rarely wear hats, but try to prove me wrong anyway. This 3.5" disk release is actually put together by myself. It's version 1.2 of the program, which was released in 1988, but before the release of the Apple IIc+. Broderbund did release an official 3.5" disk version, and it quite possibly is a newer version as well. If anyone has that version, please make a disk image of it and submit it.